Nintendo's recently released free-to-play titles have been designed to challenge and push players to their limits in the hope they will at some point seek aid via their wallets. Elements such as set timers, movement limits and special tasks spread out over a day, week or month add to the temptation. If a user runs out of turns and would like another go, they can either stick it out and wait for whatever it is to replenish or buy some more in-game currency with their eShop credit, or nearest card / voucher, and get straight back into the action. With this pay-to-play driven approach in mind, it's unsurprising that some will look to hack their way to unlocks of various cases. This may just be one of those cases, with iDigitalTimes listing a series of one-use hacked passcodes for the 3DS eShop title, Pokémon Rumble World. The hacked passcodes cover the US, Europe and Japan and unlock new Pokémon, additional gifts such as new outfits and even, if you dig deeper beyond that initial link above, some in-game currency in the form of diamonds. It is safe to say Nintendo planned to distribute these codes over time. Let us know in the comments if you intend to be slightly naughty and take advantage of these passcode leaks for the micro-transaction title. i will definetly use those codes to get more diamonds. i wanna be able to visit all levels in the game. Used them already and passed them onto my local streetpass group who are also grateful for them. While i like the game, i don't like how much money all the balloons would cost to buy which is about £15. Going by how the difficulty ramps up during each of the kings requests, getting the diamonds would take an awfully long time. Add in diamonds for different items and power ups and it gets expensive fast. Also, if you want to complete a certain region you need diamonds to slow the selection down, which, going from experience, still takes luck and a lot of diamonds. You also need to keep replaying levels to get stronger pokemon due to the jump in levels of the kings request so in the end it feels like you have no choice but to buy diamonds just to progress which is wrong. I usually wouldn't say this but i really hope everyone who has the game uses these codes and show GameFreak and Nintendo that we're not interested in pay to progress games. It would show them that people in the west simply are not interested and would much rather pay outright for it. They've both been super quiet about the profit of this and shuffle and i think it could be because over here it's simply not making anything back. They have three options- scrap these codes and make new ones, take off any items and Pokemon people have gained early (which is highly possible) or they'll just release the list as a "thank you for x amount of downloads" to cover up the fact that it was a leak. Hopefully it'll be the latter as i bet you many people have used these codes by now and to cut that many people offline would be a disaster. This is why the badge centre hasn't been released here as it relies too much on micro transactions. The only way they could release it here would be to make it a paid streetpass game and change the formula. The chances of that happening are next to none. Again usually i don't like cheats but when they launch a pay to win model like this, they deserve it. NO GAME should ever be like this and i hope this sends a clear message to Nintendo and Game Freak- just give us the complete games! I don't like the game, so there's no reason for me to waste further time with these passcodes. But I know some people who play it, and they might be interested. That said, I won't support this in the slightest if the codes were intended for purchase - theft is theft, no matter the reason. I just stopped playing the game tbh. Went right back to Smash bros these days, now that I have my Pikachu Amiibo. I got bored of the game pretty fast when the waiting limit went up to an hour for each balloon, this is probably why I usually don't play Free to Play games often. The passcodes were hard-coded into the game from the very start, so there would not have been any plans to distribute them via software updates, unlike Pokémon Shuffle, and probably no plans to introduce further codes. 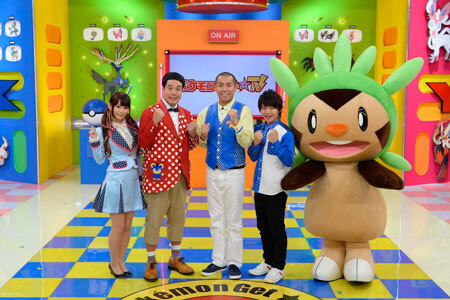 Using the codes does give a little boost to the gameplay, unlocking each of the gift pokémon will help increase your rank, and they'll come with special moves that are useful for the move tutor shop. The 30 free diamonds is also of obvious advantage, but is still fewer than what can be earned through normal play or paid for at a minimum. You're a bit late to the party, I used these codes about 4 days ago! I stopped playing a few days ago when the king treated me like some kind of criminal b/c I changed my clock ahead (or behind, I forget which) for daylight savings time. I know DT was about a month ago but who looks at the clock on their 3DS? I just happened to notice so I changed it to the correct time. Then the king scolded me and I coudln't do the kings challenge and none of my balloons refilled. So, Nintendo wants to treat me as a criminal, I'll be a criminal. Oh, similar thing happened in Shuffle. Noscolding fomr the king but it gave me a stearn warning. So please, somebody tell Ninteod there's something in this county called "daylight savings time" and if they can't update it automatically they need to take it into account that people are going to change the time twice a year manually. Hahaha! Stick that up your free to play clacker Nintendo! I don't have daylight savings, so that doesn't affect me. Go Nintendo! I like the game as a pick up and play game that I play in spurts it would take the fun out of it for me to use the codes . North America - no offense to the rest of the world, it's how I formatted it to print it out on 1 page. Not sure how "hacked" these were. They were in the code, and somebody read them? Is reading the code considered hacking these days? Am I a thief every time I walk into the library and read a book? Or read a magazine in Barnes and Noble? Or look at a newspaper in Dunkin Doughnuts? It's weird how some people think of using the hacked passcodes as a way of payback for microtrans when Nintendo normally post the same code every few days for free. Then again I don't even use the already released code, so water on a psyduck's back for me. "I know DT was about a month ago but who looks at the clock on their 3DS?" These aren't hacked. They're hardcoded in the game, and the only difference is that now you have the option to redeem them earlier. @Ichiban Oh no, you might pay $5 to play a free game that would otherwise cost at least $10. How will you ever get by? Thanks for the post! will use the gems codes and the outfit codes. So with these gems I'll be able to snab a 30 gem balloon. Since 20 gem is easier to get for free, or save up for when i get access to the next set of balloon which will probs cost 40 gem. Honestly I doubt this will hurt the incomes of the game and/or require to punish player who "abused" this, the passwords allow to get up to 30 diamonds while it seems the ballons require more than that even at early stages (with the last one requiring 200 diamonds even O_O; ). I don't remember the other ones, I already unlocked them. O-kay. I don't get your leak-covering policy anymore. You protect Sony but not Nintendo?, or is it just about Wikileaks alone? Thanks for the tip, I hope I can get some of those goods before Nintendo addresses the problem, although I didn't like the game much. @rjejr , their slight warnings here are nothing. I was checking into Wii Fit U late at night after DST ended, and my checkin went to the wrong day. No problem, I'll go ahead and fix the clock and go and weigh in again. This completely ruined my save file, making the game think every day was my first day, had to delete my file, lose a few months progress and statistics, and start again. Nintendo really needs automatic DST fixing. Noibat's password is probably saved for when Team Rocket gets theirs in the anime, since you see one in the Pikachu Trailer, the Charizard with the Charizardite X is probably Alain's. @Zombo If that's the case, I don't see any problems in using them. Thanks for the pikachu outfit the dragon and 30 diamonds! @shand - Wow, that's really bad. Save file deltion due to DST. Nintendo, Nintendo, Nintendo. Well, the codes themselves are a part of the game that isn't an exploit of something unintended, so, yeah, I'll partake. @Kifa I don't see why they'd ban us for entering in what is pretty much a cheat code. Sure, it's supposed to cost money, but cut that out and they're no different from a password to unlock something in other games. @MasterGraveheart Well technically, even though they're part of the game, they're still not necessarily considered not being an exploit. But I don't believe any action would arrise from this anyway.. it would've been possible to get these codes through hours of guessing. They have no influence on online gameplay or the like other than being next to your character, in which case there is 0 indication that it is the event pokemon instead of a regular one caught. Lol: This site doesn't cover the Sony/Nintendo leaks anymore because of morals, yet everyday they have a article about hacking! So uh, I'm starting to play Xenoblade- any tips for a Level 10 noob just getting started on his journey? I got the basics of "Break-Topple-Daze" and gems in my equipment (though I can't craft them yet). I guess mainly what I'm wondering is, is it better to upgrade the pink, green and yellow arts used for the break combo? Or are there other arts that should be prioritized like the side attack and backslash? I decide not to use them (despite being tempted) for the simple reason that like it or not, these codes were not meant to be used yet. I'm not a fan of microtransactions and the like, but that's what Nintendo's made this game to be, and even though you can play the entire game without paying a penny, the option is there for those that want it. Nintendo is the only developer I know of that presents freemium games as fairly as they do, so you'be got to hand them some credit. 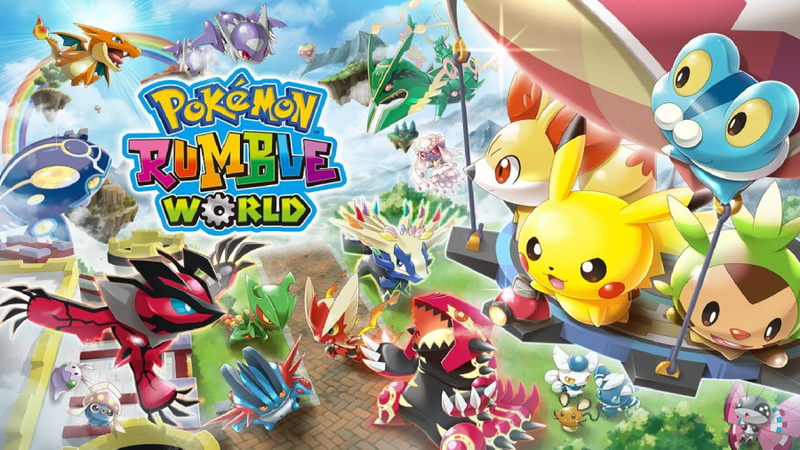 I'm having fun playing it, I had a lot of fun with Pokemon Rumble U for $20, I would probably spend $5 on this after a while if I can't earn diamonds anymore. @JaxonH - "for which I own all 20 NFC figures anyways"
OK, that's just too... something, even for you Don't play Rumble U though, download the Wiiware one for $15, it's much better. And my kids liked Blast better on 3DS as well, since you probably super-glued your 3DS to your hand so you don't drop it when you fall asleep driving. Hard to find though. As for XC, I play it like I play all my grinding JRPGs, start the game mashing on the little guys so I'm a level or 2, or 3, ahead of where I need to be, then just smash everything in sight. I've only been to the gem guy once, doesn't seem worth going back to to me. I equip all the best armour I find - 15 hours in and I haven't bought anything yet, though I might have had a few good items from doing quests. (It's great that after doing a quest you usually don't need to go back to the person.) It's just Monster Hunter light, you could probably quite literally play it in your sleep. Just not while driving, ok.
My own personal favorite part which isn't explained well is instant transport w/ the map. I jump all over the place at will, no backtracking. I hate back tracking. Just select a "landmark" on the map and there you are. Greatness. Totally used these codes (good heavens, that site's got the absolute worst ads I've ever seen; Nintendo Life and GameFAQs combined haven't encumbered me in all their years as much as this site did for ten minutes). I'd say the biggest advantages, at least for someone who was in the early teens levels, are store unlocks (namely the trees), getting another balloon, and that Hydreigon (wicked high attack, though its primary move has strange aiming, and secondary has charge-up). Most of the gift 'mon are in the middling 200s, and 30 Diamonds only gets one so far. However, the curve shot by the few high-levels (or is it character level that affects this?) does lead to higher-level wild toys, so it's quite a jump immediately after. Still, since this ain't multiplayer and there's so much more grinding to do even after this, it's ultimately harmless, how little mileage you get offa them.